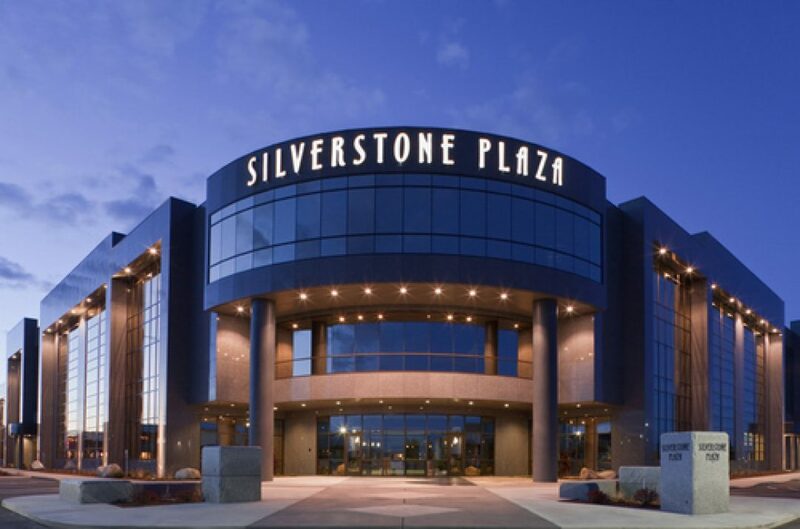 The Sundance Company has been providing quality and desirable commercial real estate space throughout the Boise Valley since 1976. New technologies can be intimidating, and it’s not always easy to figure out the best ways to use them effectively and profitably in commercial real estate. But there’s no doubt that tech innovations will keep advancing, so the sooner you embrace them, the better equipped you’ll be to remain a strong competitor in the market. These are some of the main tech trends you should be following if you’re in CRE. Many CRE companies are not fully tapping into the power of their data to make sound investment and operations decisions. Investing in advanced business intelligence software enables better management of business functions, reduces manual work and equips property managers to make fast, informed decisions. A key step in effectively deploying and integrating technology internally at a property management company is developing an enterprise-wide technology strategy. You can upgrade your technology infrastructure while still accommodating legacy systems, but a well-thought out plan for integration across the enterprise is still essential. And, upgrading internal technology to newer, more efficient and user-friendly options doesn’t necessarily mean it has to happen in-house. Companies now have the option to contract with external cloud-based service providers for certain business areas or even outsource entire functions to specialized firms that handle payroll, HR, accounting and more. Smart building management systems can carry out automated procedures and track building operations, and smart devices and AI-augmented technology can be used to identify patterns and anomalies in the data. Data can include anything from tenant satisfaction to business functions to building temperature. These innovations allow property managers and building engineers to more effectively apply predictive analytics, perform preventative maintenance, optimize energy usage and save costs. Today’s tenants rely on connected devices in their workspaces, and to meet their expectations, property owners and managers need to consider upgrading the digital infrastructure in their buildings. CRE companies must recognize that IoT technology is a priority when designing or retrofitting their buildings. Also, modern tenants increasingly value tech-based sustainability initiatives such as solar-powered outdoor lighting and installing green technologies will not only boost tenant satisfaction, it can also reduce energy bills and improve property value. Small unmanned aerial vehicles now have many commercial applications. Drone technology is being used in real estate to photograph properties from appealing bird’s-eye vantage points and other normally inaccessible angles. Using high-quality visual imagery from drones when advertising your properties can increase perceived value, which can translate into a higher asking price and a faster rental cycle. Some security departments are using them for surveillance to be able to monitor larger properties with less required manpower. Drones are also being deployed for surveying, architecture and construction—something to keep in mind if you’re building a new property. Innovative business models inspired by the new sharing economy are now arising in commercial real estate. The most notable, WeWork, provides shared workspace and particularly appeals to tech startups and freelancers looking for flexibility, convenience, special amenities and technologies that enable their mobile workstyle. At the same time, CRE is moving online, with internet-based PropTech startups transforming the traditional business model. Zillow, Trulia and Redfin have been disruptors in the residential sector, and emerging companies are now aiming to shake up the CRE industry in a similar manner – are you prepared for what this might mean for your building? Technology is advancing every day, and if you’re not making efforts to stay current, you’re likely falling behind. By embracing new innovations like these, your property, your tenants and ultimately your profitability will benefit. Portions of this article originally appeared on the NREI website. We talk about trends in the workspace sector all the time, but what’s happened to the office landscape in recent years has been nothing less than a seismic shift. In a relatively short period, office buildings have gone from being places where people do things to being places that do things for people. And, in today’s fierce war for talent, being able to offer a workplace environment that employees want to spend time in – one that actually enhances their working life – can give businesses that all-important competitive edge. A big part of this is having the right blend and standard of amenities in place. The demand for meaningful workplace amenities is being driven by a multitude of factors, each one influencing the way our workplaces evolve. A rise in the number of freelancers and self-employed workers, now accounting for around 15 percent of the working population in the UK, has spurred increased demand for co-working space with shared amenities that support networking and collaboration, the growing appeal of flexible workspace to businesses of all sizes is, again, fueling demand for high-quality shared amenity, as is the continuing influence of the Millennial generation that places an onus on the social aspect of work and the impact of workplace wellbeing – with a healthy office now being an essential aspect of the employee experience. Successful amenity provision speaks to each of these demands, helping to create workspaces that support businesses in attracting and retaining talent; contributing to their growth. Planned in the right way, workplace amenity can also bond building clusters together, forging vibrant new communities in our towns and cities. Happy, healthy people are the biggest asset to any business. Human beings aren’t just units of production, and workspaces that treat them as such create a battery hen experience where wellbeing suffers and productivity drops. Encouragingly, increasing numbers of employers are recognizing the benefits of having a workspace that supports wellness; a recent survey from the Confederation of British Industry, in partnership with Bupa and HCA Healthcare, found that 63 percent of respondent companies viewed workplace health and wellbeing as an important business issue. This reflects what we’re hearing from our customer steering groups. They’re telling us that that wellbeing at work is no longer a ‘nice to have’, but a ‘must have’ and they want to be able to offer employees convenient access to high-quality health and fitness amenities. Today’s workforce is more health aware than ever before and with retirement ages being pushed further and further back, employees expect their employers to take a responsible attitude towards their long-term health and wellbeing. Everyone wants to feel like their employer is looking after them. So, we must ensure buildings and developments provide amenities that can really help customers to support employee wellness, from both a physical and mental point of view. This goes far beyond providing the essentials like bike storage and shower facilities, to offering access to things like yoga studios, virtual fitness classes, guided meditation sessions, on-site gyms, astro-turf training areas, holistic therapy pop-ups, and chill-out zones. We’re focused on taking these benefits to as broad a range of customers as possible, so we cluster buildings together and share amenities across them. What we say is that, if you’re part of the Bruntwood community, you can come and enjoy the facilities at any of our other buildings too. According to the United Nations, by 2050 two-thirds of the world’s population will live in cities. And as urban infrastructure expands to cater to this influx, access to green space and a connection to nature as an amenity will become increasingly desirable. Exposure to green space has been linked to employee well-being and productivity, and some big players have taken note. Facebook, for instance, has topped its Silicon Valley headquarters with a huge rooftop park and Google plans to incorporate a 300m-long rooftop garden, complete with running track into its new London headquarters in King’s Cross. We see green space as a multi-functional amenity, it can provide a place for customers to work, collaborate and relax. A number of our flagship buildings such as Platform in Leeds and Neo in Manchester have green rooftop terraces and the new urban neighborhood we are creating in Manchester, Circle Square will be centered on one of the largest new city center green spaces for generations. Not only will the inclusion of green space in and around our workspaces help to address the future needs of urban workers but it will also ensure that our growing cities are sustainable. Amenities have to work hard these days. Used in the right way they can help to facilitate a sense of belonging and stimulate a collaborative, creative culture – essential parts of the modern, co-working scene. Businesses want shared amenities that provide opportunities to collide and interact with like-minded ventures within the workspace community. Where, once upon a time, people might have congregated by the water dispenser, they’re now coming together in open plan kitchen areas, shared lounges and on communal roof terraces and this type of amenity is in big demand. Workspace amenity can inject energy and interest in developments. We’re now blurring the lines between retail and office space to provide quality services and provision within buildings themselves. This not only ensures that customers benefit from easy and convenient access to stand-out retail, including independent food and beverage providers, but it adds to the overall vibrancy and amenity of buildings. It’s all about using amenity to create a destination for the entire business community. And the perfect example would be Hatch, the existing new pop-up food and drink destination we’ve created at the Oxford Road corridor in Manchester. Hatch is satisfying a number of objectives – providing an incubator for innovative start-up retail and leisure ventures, a fantastic amenity for businesses that will be based within our new Circle Square neighborhood and a new must-visit ‘foodie’ attraction for Manchester as a whole. Amenities like Hatch also act as an effective ‘third space’ for the businesses around it – another place where co-workers and colleagues can connect and recharge. In this brave new workplace world, businesses that can offer a meaningful amenity to their employees are bound to have the advantage. And, for developers, this means constantly redefining what ‘amenity’ means and always pushing it to deliver more. Portions of this article originally appeared on the Work Design Magazine website. It is for many commercial real estate professionals, and it’s easy to see why — if you want to find new prospects, you first need to call them, right? It’s hard to argue with that, and while cold calling does play a role in every prospecting strategy, it shouldn’t be your entire strategy. Instead, the best prospecting strategies are rethinking the use of cold calling, transforming it from an end in itself to just one part of a larger approach to securing new business. It happens, but it doesn’t happen often. Don’t focus on making a hard sell; simply build the relationship, make a connection and provide value each time you talk. After a year of this you’ll have made several strong connections with key prospects in your market, and when they eventually need professional counsel, don’t be surprised if you’re the first person they call. How effectively you segment prospects has a lot to do with the quality of your databases and technology — you could create lists with nothing more than an Excel spreadsheet and a post-it note (we don’t recommend that), or you could leverage your databases through a commercial real estate-specific CRM to segment lists according to real-time data. Either way, you want to segment prospects into the key groups that will fuel your success. That means different things for different commercial real estate professionals, but if you’re looking for ideas, start by breaking prospects into these groups: previous clients, top owners and market principals. You should always keep in touch with past clients, many will prove to be consistent sources of business, and you definitely want to be building relationships with the key players in your market. Portions of this article originally appeared on the Apto website.